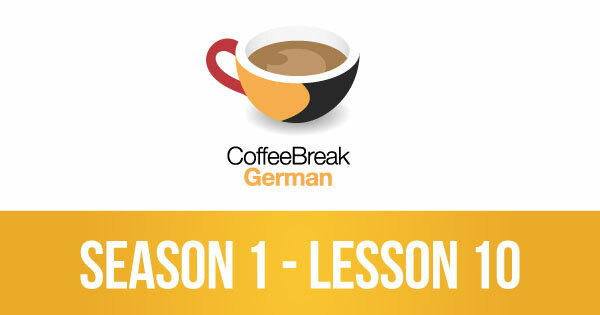 In this latest episode of Coffee Break German you’ll realise how much you’ve learned since you started following the course by listening to a conversation using lots of the language you’ve covered so far. Coffee Break German comes to you from the Radio Lingua Network. In weekly episodes you’ll join native speaker Thomas who’ll be teaching learner Mark in gradual, structured lessons. The episodes also feature Kirsten, our Grammar Guru, and Julia, our Cultural Correspondent. 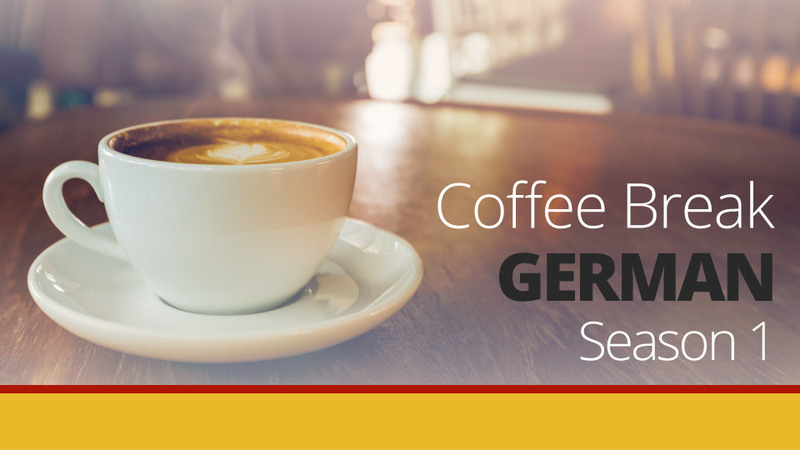 The premium version of Coffee Break German Season 1 provides additional materials which will help you move forward more effectively with your German studies. These are available on the Coffee Break Academy. Congratulations on a well put-together series of lessons! I love your approach, particularly the structure and the informal conversational nature of the lessons. The cultural and grammar segments add a great deal and I’ve found the support materials, especially the lesson notes, very helpful (so much so that I’ve just downloaded the first of the study packs). I find it occasionally frustrating that you say that we’ll come back to a particular point in a future lesson but I understand that you can’t cram everything in at once – I’m just eager to learn more! I’m in my fifties and ‘did’ German in school. I’ve had a number of visits to Germany over the years, usually in company, so I realise how little practical knowledge of the language that I have. Your course has given me the confidence to organise a solo motorbike tour of Germany later this year, something I’m really looking forward to!